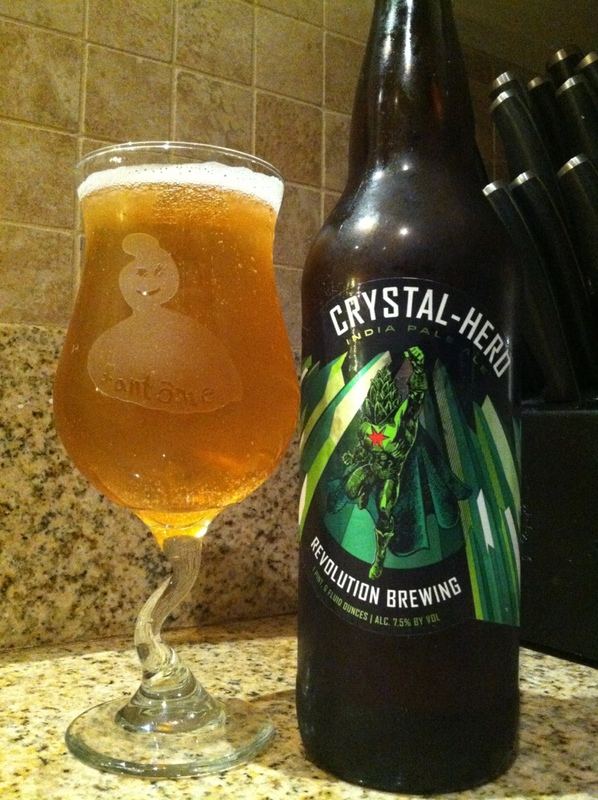 @revbrewchicago Crystal Hero, awesome beer. Chopping up that sky blue crystal. Seriously awesome Ipa. This brewery has yet to let me down.